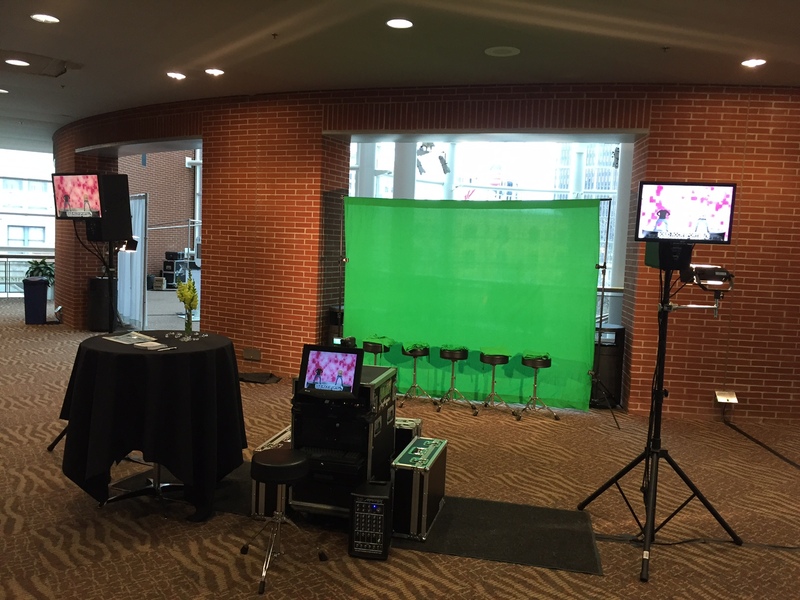 PopNoggins video green screen setup at John S. Night Center for Synchrony Financial. Looking to go above and beyond a photo booth? Try a video booth! That’s right, a video booth is like a photo booth in that your guests will be able to enter the booth and create a memory. The difference is this memory is a video. Here’s how it works: Both of our video booths have the same concept. There is a green screen back drop that guests sit in front of. We also cover the guests upper body with a green cape. The computer takes only your guests head and then superimposes them onto the body of an animated dancer or superhero. The hardware and software then combing what the video camera captures (your guests head) and merges it with the audio and video to create a fun and personalized video. Each guest will receive a DVD with the video for them to take home. We offer two options for video booths. Dance Heads – A two person booth that is great for both indoor and outdoor events. Easy to use, guests scroll through available songs and start the session using buttons inside the booth. An attendant is provided to help answer questions and give guests their DVDs which are in a full color Dance Heads branded sleeve. PopNoggins – Just like Dance Heads but on a larger scale. Up to 5 guests can participate at a time. Two large speakers fill a room with sound and with a total of 4 video monitors, everyone can watch the action in real time. Indoor setup is recommended. Two attendants are required to operate. Guests receive a non branded, white DVD in a white sleeve. 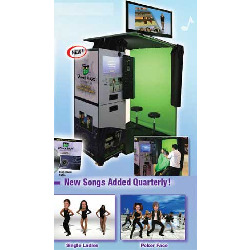 Dance Heads video recording booth - Click to learn more! PopNoggins - Click to learn more!